Anchor is a preconfigured collection of user-friendly storage that addresses an individual’s organizational needs in the changing workplace. The broad scope including credenzas, pedestals, work surface stackers, towers and lockers features a neutral aesthetic and key dimensional alignments, which ensure easy coordination with Dividends Horizon® and Antenna® Workspaces. 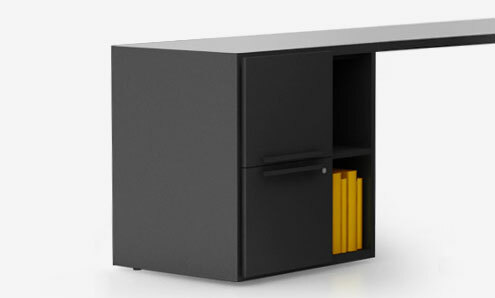 Offered in a variety of configurations including all-open, fully enclosed, or a blended solution of open and door/drawer configurations, Anchor provides a balance of accessible and secure storage. 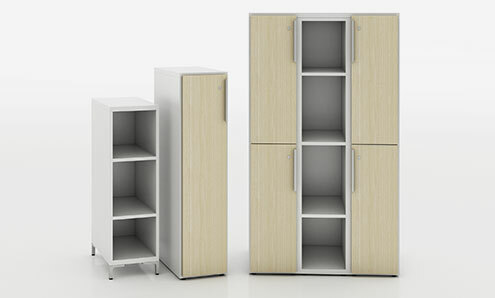 The collection is an ideal individual storage solution for focused, shared and team settings, or for storage needs in group settings outside of primary workspaces. 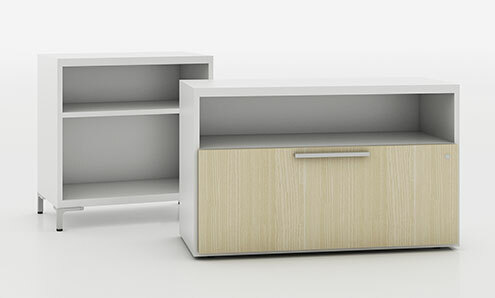 INDIVIDUAL STORAGE FOR VARIOUS WORK STYLES. 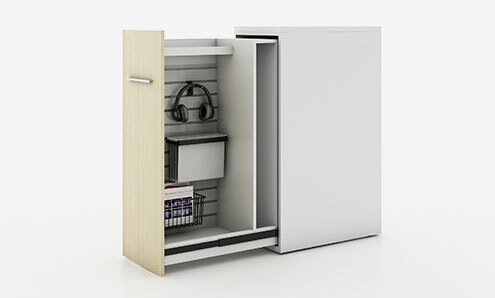 Support the individual storage needs of resident and mobile workers with a practical range of configurations and options. PLANNING EFFICIENCY. Multiple configurations and key dimensional alignments allows Anchor storage to effortlessly scale from small to large workstations as well as complement Dividends Horizon and Antenna Workspaces. ACCESSIBLY PRICED. Anchor units are preconfigured and preassembled, eliminating complexity and additional installation costs. As workplace planning includes more and more team-oriented areas and shared workspaces, it is important to provide storage solutions that can centralize the personal and professional materials of individuals. Anchor Lockers increase the capacity of a shared station or, placed at the perimeter of a team space, serve to define space and give individuals a home base. Available with a mix of open and closed, floorstanding and mobile, narrow or double-wide, Anchor pedestals meet all of your personal storage needs. Anchor pedestals can stand alone, support extended worksurface returns, or easily gang together for a bank of desk-height storage. 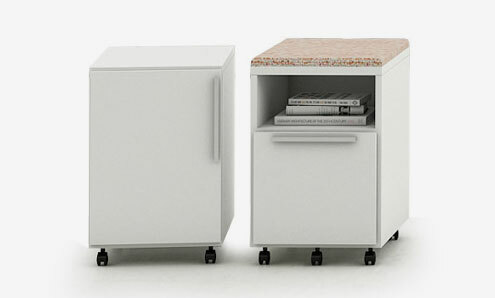 Slide out units are ideal for organizing all manner of personal items. 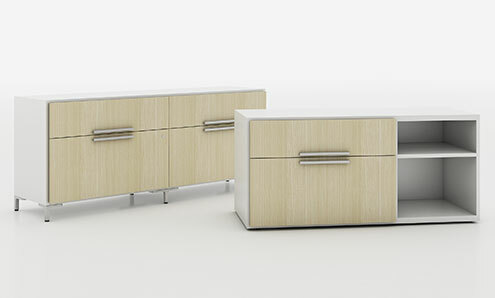 Freestanding and design neutral, Anchor credenzas are the perfect complement to Dividends Horizon or Antenna Workspaces. The credenzas can also be used in the private office or to define space, store files items and provide seating in Activity Spaces. 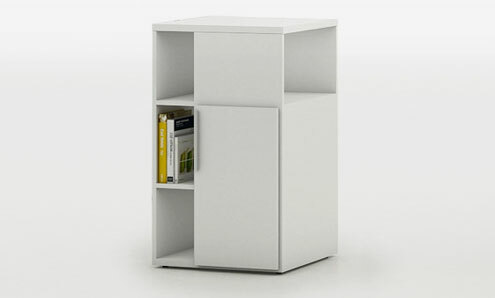 A range of configurations are available, including open shelving, box drawers and lateral files. Anchor worksurface stackers offer a storage cubby for desktops and credenza surfaces, and are ideal for defining personal space in benching and height-adjustable applications. The depths coordinate with Dividends Horizon and Antenna Workspaces worksurfaces. Tackboard surfaces are available for the inset back. Anchor towers offer a range of configurations to deliver personalized storage in workstations or private offices. 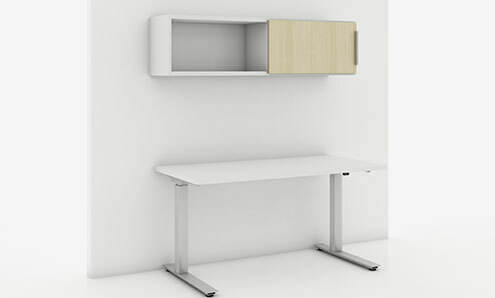 Slide out towers are an efficient way to define workstations and provide configurable personal storage. The dimensions correspond to Dividends Horizon panel heights. Anchor is designed with the dimensions of Dividends Horizon® in mind, meaning it shares key lengths and heights to ensure easy integration with Dividends Horizon workstations and focused team areas. 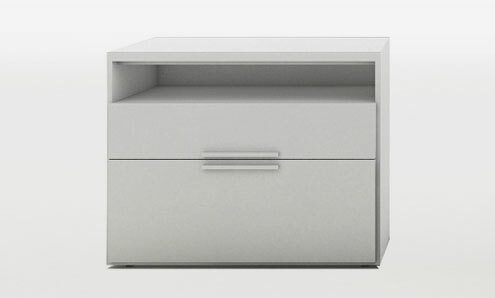 The credenzas fit under worksurfaces, the doublewide pedestals can support worksurfaces, and the Workstation Lockers align well with Dividends Horizon panels. 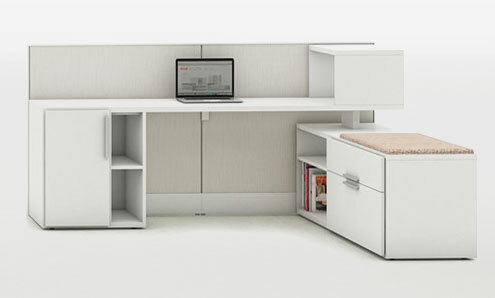 Anchor brings added personal storage and flexibility to spaces planned with Antenna Workspaces. 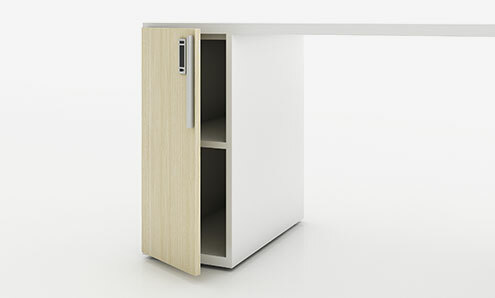 The credenza is designed to fit under the rails of Antenna worksurfaces and the doublewide pedestal can support worksurfaces. Placed at the end of an Antenna big table, Anchor lockers offer individual storage in shared spaces. *Dimensions nominal. Please refer to Price List for specific product availability. Width: 18", 24", 30", 36", 42"
Width: 48", 60", 72", 84"
Width: 30", 36", and 42"
Height: 42", 50", 57", 64", 71"
Width: 24", 30", 36", 42", 48", 60", 72"